What will you remember most about Charles Wang? Charles B. Wang, former Islanders owner and founder of CA Technologies, died on Sunday surrounded by his family, his attorney said. 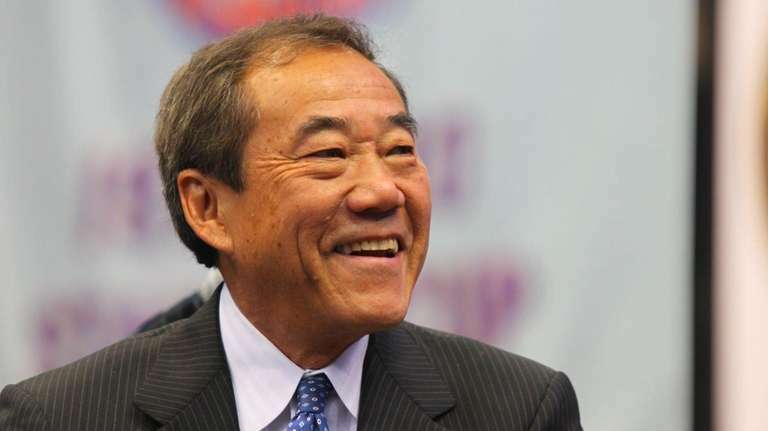 In 2000, with the Islanders facing an uncertain future, Wang purchased the hockey team, "in recognition of the team’s importance to Long Island, despite having previously attended only one hockey game," according to a statement from attorney John McEntee. He was the majority owner until 2016, when he became a minority co-owner. "He treasured his association with the team and its devoted fans," according to a statement from Wang's family. I remember so well his attitude as the founder and president of CA Industries. A good man who's heart was always in the right place. He certainly understood the importance of this NHL organization to its Long Island fan base. I met him a handful of times in the coliseum corridor. A wonderful kind hearted man and active philanthropist working with many children's foundations. He saved the Islanders franchise in 2001 and brought them back to respectability, finally. He personally greeted all of us "tens of fans" at the main entrance in back of the ticket booths. Was CEO of Computer Associates when I worked there. Friendly and down to earth. May he Rest In Peace. A great person who tried to make the Islanders a winning team and a Cup contender. I will remember that he did everything he could to keep the team I love in New York. We should have more people like Mr Wang. I thank Charles Wang for giving me the greatest sales opportunity of a lifetime. Mr. Wang was a class act! Very generous, caring and understanding! I was always proud to say that I worked for Charles. The Islanders would have been long gone by now if not for the efforts of Charles Wang. The driver removed his helmet and gave me a thumbs up and, wide grin. It was Charles Wang. Philanthropy and on-site child care are part of CA's culture to this day, thanks to Charles' commitment and vision. Without Mr Wang the NY Islanders would not be playing on Long Island or Brooklyn. It was a difficult journey, but he definitely made a statement and made the world a better place. James Chou, San Jose, Calif. I owe my career success to him, his vision and the winning culture he instilled in every single person.